Chinese e-commerce giant Alibaba has now removed SF Express delivery tracking on TaoBao and all its other platforms, while its app Cainiao Guo Guo, which provide full logistics tracking online, has blocked all third platform interfaces including SF Express, according to SF Express’ release on Weibo. Marketing found that SF express as a logistics option is still available on Taobao Hong Kong at the time of writing, but two giants have confirmed the dispute in their latest announcements, with drastically different explanations on the matter. Announced on Friday early morning (1 June 2017), SF Express claimed that Alibaba’s Cainiao unilaterally disconnected Hive Box’s data interface on 1 June 00:00. Hive Box is a Shenzhen-based smart package locker provider jointly-owned by five Chinese courier companies including SF Express. “Based on its own commercial interests, Cainiao insisted Hive Box provide our clients’ privacy data to them. Given that the data is not related to Cainiao, and under the “customer-first” principal, Hive Box declined the request. Cainiao then unilaterally disconnected Hive Box’s data interface,” SF Express explained in the statement. 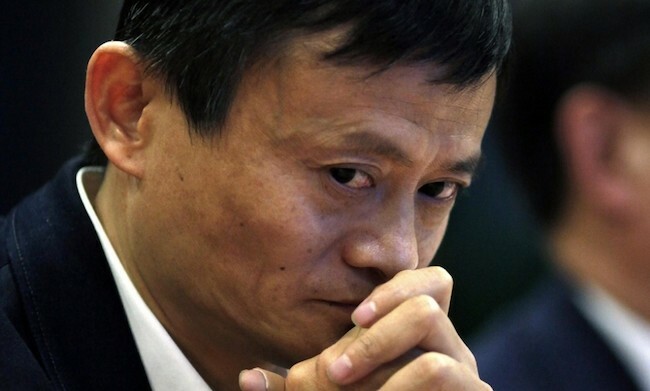 Alibaba sees the events that transpired very differently, however. The e-commerce giant said in a statement that Cainiao signed a cooperation strategy agreement with 15 Chinese logistics companies, including SF Express, to “improve open connection” on 29 May 2017. 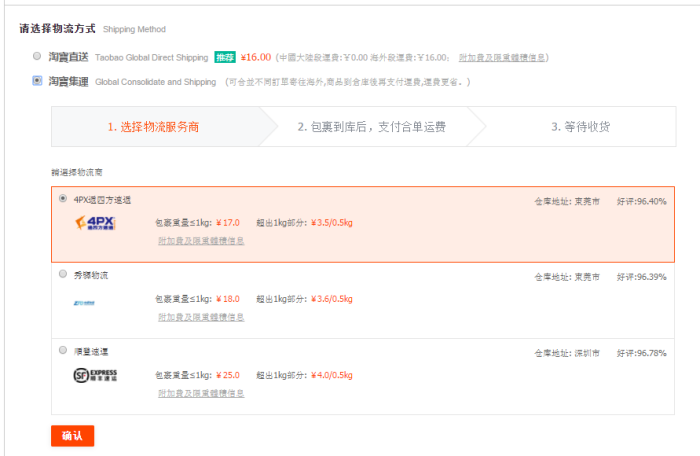 Cainiao then received a notification from SF Express, saying the logistic company would suspend its data interface; SF Express eventually stopped sending returned data messages for Hive Box and Taobao to Alibaba on 1 June 2017 at midnight and noon respectively. 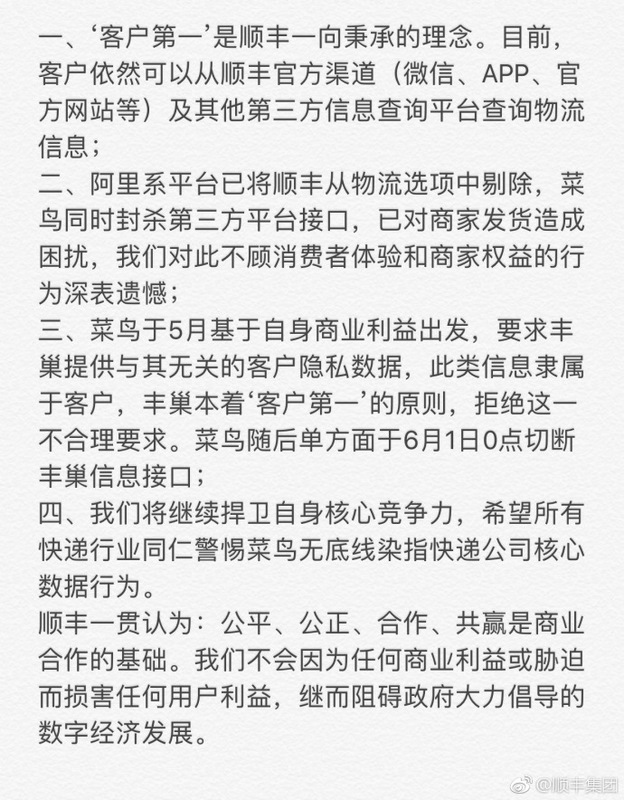 Cainiao Weibo added that SF Express and Hive Box’s unwillingness to coordinate with Cainiao’s latest security update on logistics data had led to the dispute. China Post Group Corporation has expressed concerns over the issue and promised to “communicate with the two companies’ top executives” to seek solutions that could benefit all involved parties. Shares of SF Express’ parent company, SF Holdings, fells 3.54% to 52.17 yuan on the Shenzhen exchange on 2 June 2017 noon. Malaysians are now becoming more sophisticated consumers, increasingly online and connected, increasingly plugged into the digital..